Researchers assessed the relationship between abdominal aortic calcification on CT and cardiovascular events in 829 asymptomatic patients. Researchers found a strong association between abdominal aortic calcification and future cardiovascular events. Abdominal aortic calcification was more than five times higher in patients who had a cardiovascular event than in those who didn’t. Cardiovascular diseases are the leading cause of death worldwide. Of these deaths, heart disease and stroke are the deadliest. Effective measures of cardiovascular disease risk are crucial in predicting which patients are most in need of early interventions like diet and lifestyle changes, or medications to lower cholesterol. 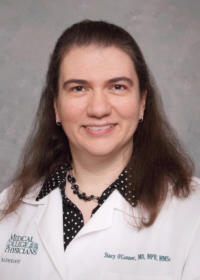 Stacy D. O’Connor, M.D., M.P.H. The Framingham risk score is a well-known and widely used prediction model for cardiovascular disease based on traditional risk factors like age, cholesterol and blood pressure. However, many patients evaluated by the Framingham risk score fall into an indeterminate risk category and could benefit from additional noninvasive tools for refining risk assessment like measures of atherosclerosis, which is narrowing of the arteries due to plaque buildup. CT is commonly used to measure calcium, a component of plaque, in the coronary arteries. For the new study, conducted at the University of Wisconsin School of Medicine and Public Health in Madison, researchers assessed the relationship between abdominal aortic calcification on CT and cardiovascular events in 829 asymptomatic patients with a mean age of approximately 58 years. The patients had undergone nonenhanced screening CT colonography between April 2004 and March 2005. The researchers were able to follow the patients for an average of 11 years to see if they had developed adverse cardiovascular events like heart attack, stroke, death or congestive heart failure. Of the 829 patients, 156 (18.8 percent) had a major cardiovascular event. The events occurred almost seven years after CT, on average, and included heart attack in 39 and death in 79. CT-based abdominal aortic calcification was a strong predictor of future cardiovascular events, outperforming the Framingham risk score. Abdominal aortic calcification was more than five times higher, on average, among those who had a cardiovascular event than those who didn’t. The researchers plan to build on their results by studying larger groups of patients. They also intend to move toward a fully-automated protocol for more widespread implementation of the assessment. “It’s our hope that these opportunistic measures can be added to reports for patients undergoing routine abdominal CT, regardless of the imaging indication,” Dr. O’Connor said.